Apple can’t pay out its readies fast enough. The $760 billion iPhone-making money machine is adding $50 billion more to its buyback plans. Throw in an increased dividend, and the total set to go back to shareholders between 2012 and 2017 is an eye-watering $200 billion. Numbers for the quarter to March, though, show Greater China overtaking Europe as Apple’s second-biggest market after 71 percent growth in the region. Chief Executive Tim Cook is in danger of taking more fire for returning cash too slowly. While much attention is centered on the outlook for the new Watch, Apple’s fortunes are still tied largely to the iPhone. The astonishingly successful gadget now accounts for about 70 percent of sales – and more of profit. The company sold 40 percent more units than it did in the same quarter last year, which underpinned 27 percent overall top-line growth at Apple. While the device is gaining share from rivals in markets worldwide, it is doing particularly well in Asia and emerging markets, shrugging off a strong dollar. The iPhone’s high profitability boosted Apple’s operating margin 1.5 percentage points to 31.5 percent in the quarter. The result was a remarkable flow of cash into the company’s coffers. Its cash and investments totaled $194 billion at March 28 – if held in $100 bills, that would weigh about 2,000 tonnes – against only $40 billion of long-term debt. Hence the increased buyback plan and dividend. Investors may be pleased enough, but soon they could be grumbling for more. After all, the additional announced buyback barely absorbs the last two quarters of Apple’s free cash flow. Cook sounded optimistic about the Middle Kingdom, and the iPhone’s appeal to the emerging middle class there. Not to mention what the company claims are near 100 percent customer satisfaction rates for its phone. If everything is really going that well in the PRC, though, Apple’s payouts will fall short of catching up – and shareholders will pester Cook for even more cash. 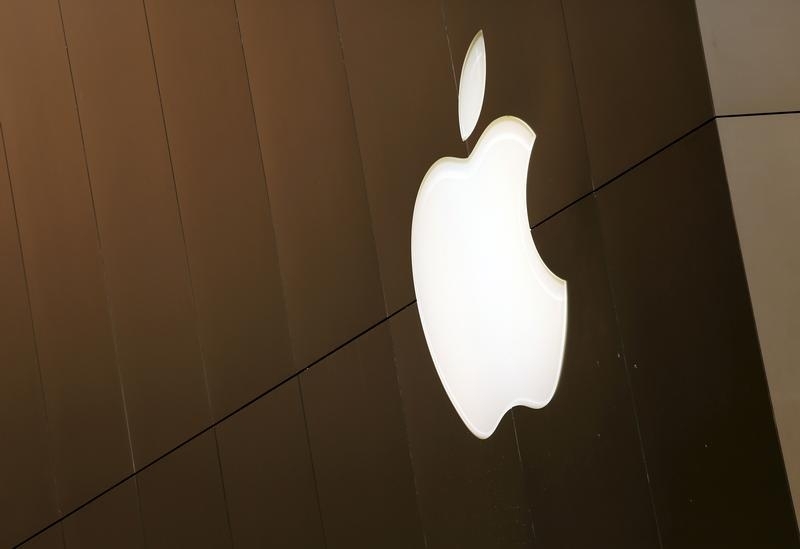 Apple said on April 27 that it generated net sales of $58 billion for its fiscal second quarter ending March 28, an increase of 27 percent from the same period a year earlier. The company earned $13.6 billion, or $2.33 per diluted share, during the quarter, up from the prior year’s $10.2 billion, or $1.66 a share. Apple sold 61 million iPhones in the quarter, a 40 percent increase from the same period in 2014. The number of iPads sold fell 23 percent to 12.6 million and the number of Mac computers sold increased 10 percent to 4.6 million. The company also increased the amount of shares it plans to repurchase to $140 billion from $90 billion and raised its quarterly dividend 11 percent to 52 cents a share. Revenue from Greater China increased 71 percent to $16.8 billion in the quarter. That market was larger for Apple in the quarter than Europe.